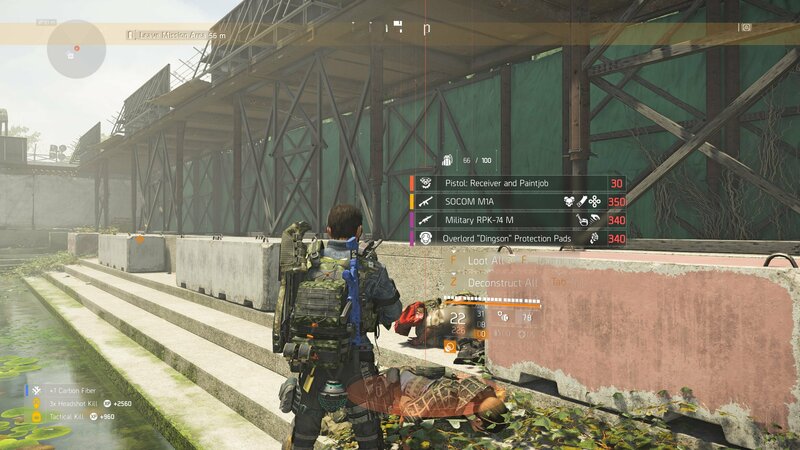 Everything you need to know to get the Liberty Exotic Pistol in The Division 2. 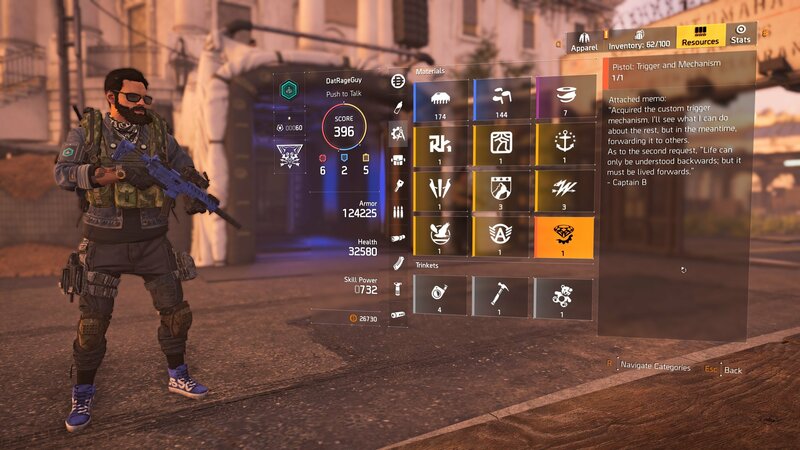 The Liberty Exotic Pistol might not sound like much when you consider the other weapons available in The Division 2, but don’t let this weapon’s equipment slot fool you. While it might be a sidearm, this high-powered D50 is one that players will want to add to their arsenal. Getting your hands on this weapon won’t be easy. We’ve included all the information that you need to know to get the Liberty Exotic Pistol in the guide below. 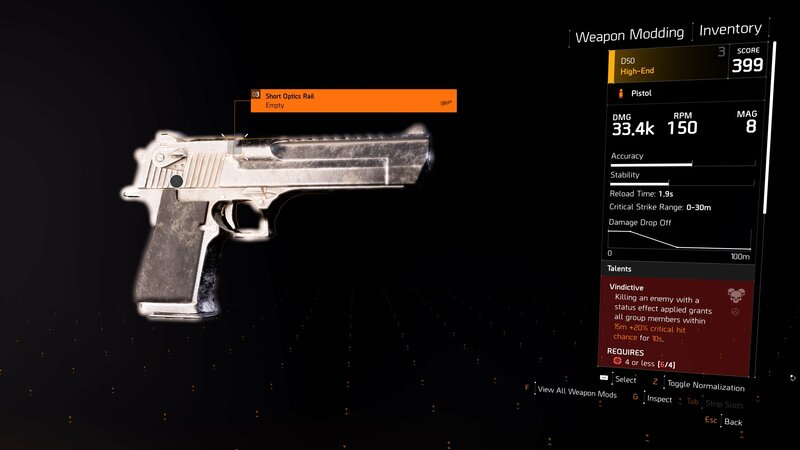 Like some of the other exotic weapons in The Division 2, getting the Liberty Exotic Pistol is going to take a bit of time, patience, and grinding. While you can unlock this weapon as early as World Tier 1, we’d suggest waiting until one of you raise your World Tier a bit before you acquire it. 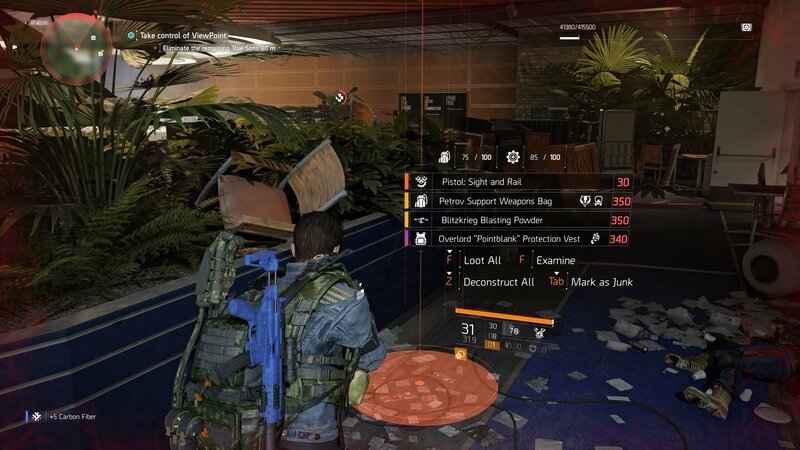 The first step to getting this weapon can be completed at anytime throughout your playthrough of The Division 2, though. All you need to do is acquire yourself any level D50 and then throw it in your stash. You’re going to need it later on, so you’ll want to make sure you don’t accidentally deconstruct it or sell it off. You'll need to hold onto any regular D50 pistol if you want to unlock the Liberty Exotic Pistol. Next, you’re going to want to make sure you have the Pistol: Trigger & Mechanism component. 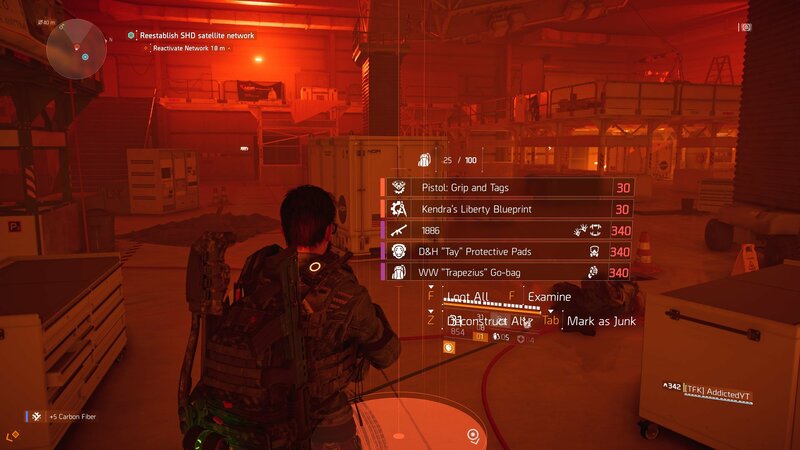 This will drop automatically at the end of the Capitol Building Stronghold, after you kill Kendra Nelson, so you should already have it if you’ve at least unlocked World Tier 1. To find the other parts, though, you’re going to need to complete a few missions on Hard Difficulty. The first Exotic Component you need to acquire is the Pistol: Trigger & Mechanism. This is dropped from the boss at the end of the Capitol Building Stronghold. The next mission to add to your docket is the American History Museum, located in East Mall. Complete this mission on Normal or Hard and defeat the boss, Captain Briggs, at the end to acquire the Pistol: Receiver & Paint Job. After this, head on over to the Viewpoint Museum and complete it on at least Normal. Killing Staff Sergeant Carl Wade at the end will drop the Pistol: Sight & Rail. Complete the Viewpoint Museum mission on Hard to pick up the Pistol: Sight & Rail. Finally, you can pick up the last piece of the Liberty Exotic Pistol by heading over to the Space Administration HQ mission in the Southwest region. Complete this mission and defeat Master Sergeant Steve “Junior” Quiroz to acquire the Pistol: Grip & Tags as well as the Kendra’s Liberty Blueprint. Now that you have all the pieces, visit the Crafting Station at the Whitehouse. Make sure you grab the D50 from your Stash (or you Inventory if you kept it on you) and you should be able to craft the Liberty Exotic Pistol without any issues. Finally, you can kill the named boss at the end of the Space Adminstration HQ mission for the Pistol: Grip & Tags, Kendra's Liberty Blueprint. What makes this pistol so good, though? That’s a good question. Like the Merciless Exotic Rifle or the Chatterbox Exotic SMG, the Liberty Exotic Pistol has three perks that players can make use of. Like other D50s, the Liberty holds 8 rounds and fires at a base 150 RPM. 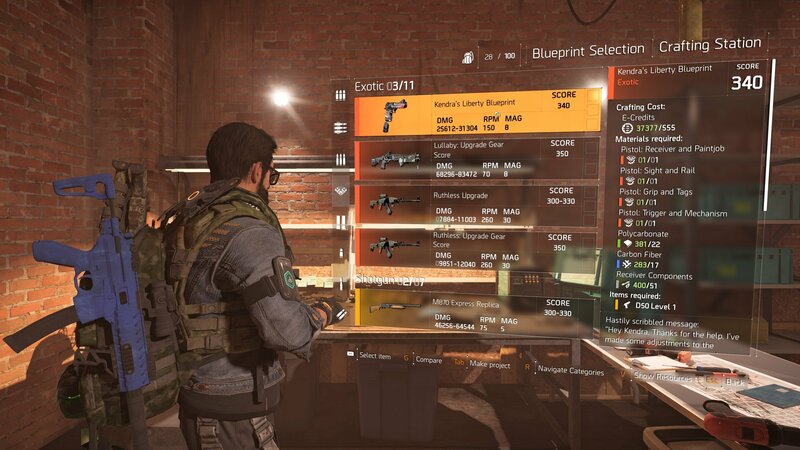 A brief glance at all the items you'll need to craft the Liberty Exotic Pistol in The Division 2. The first perk on the Liberty pistol will grant a 100% damage buff to hostile electronics. When aiming, enemy weak points and any hostile electronic devices will be highlighted. After you destroy an enemy’s weak point or any hostile electronics, the next bullet you fire will deal +500% damage. If that shot manages to kill an enemy your magazine will be refilled, granting a 100% damage buff until the next reload. 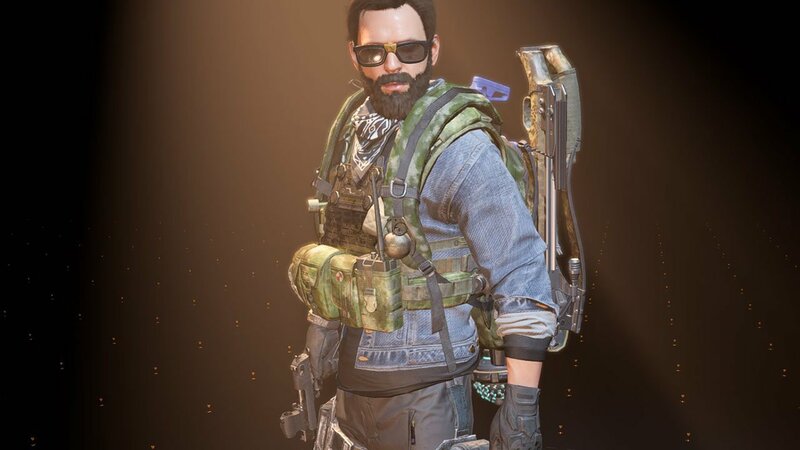 When holstered, destroying enemy weak points will refill 20% of your current weapon’s magazine, effectively granting you unlimited ammo when dealing with armored enemies. Now that you know how to get the Liberty Exotic Pistol, as well as the weapon’s perks, you can start your journey and get your own right now. Make sure you also head back over to our The Division 2 guide for more help. Just wanted to add a correction...the missions can be completed on normal difficulty for the parts to drop. Hard difficulty is not required. Hmm. I've added a note to the article for that. I completed them all on Hard to get the drops, but nice to know that you can do it on normal as well.